Carl James, global head of fixed income trading at Pictet Asset Management, the buy-side arm of Swiss bank Pictet Group, believes that while fixed income trading may have been going for centuries, there has always been an element of randomness to the process. Exchange floor price quotes, over-confidence of market knowledge and minds still stuck in the 1980’s are all challenges to be overcome if the fixed income world is to move forward, although James believes the dial is now rapidly moving to a quant-driven approach. Having joined the €152 billion asset manager just over three years ago to run its fixed income trading desks worldwide, James has set about utilising his 30-odd years of global capital markets experience to help guide the Geneva-based firm into the future. The real challenge, he says, will be changing minds about where fixed income desks are heading. James says that the reception to such a new approach has been mixed. Some “love this quantitative data” because it allows them to improve their own working process, while others have pushed back against the change, arguing that it doesn’t provide the whole story. “They’re right, it doesn’t give the whole story, but it’s still evidence,” he says, pointing to the equivalent journey the equities market has been through. The other key challenge for the fixed income market according to James is that of industry standardisation, adopting the Tuckman model of group development (forming–storming–norming–performing) to illustrate the industry’s progress. “That’s classic trajectory, but if you look at that in the fixed income world on a broad level, we are in the storming process,” he says. “MiFID II was the catalyst – the forming stage – and now we are storming. There are 150 trading platforms out there and 150 of them aren’t all going to survive. 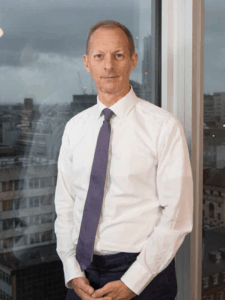 While he may describe MiFID II as the catalyst for pushing the fixed income markets into the next phase of its evolution, James acknowledges that there was also a technology groundswell leading up to the implementation of the new regime, which has forced many industry participants to examine both their in-house infrastructure and their trading processes. Buy-side trading desks that had previously been running on decade’s old technology had to make a change before the new rules came in and that meant everyone – from the c-level executives down to the dealers themselves – all getting on the same page. James describes 2017 as being “subsumed with MiFID II”, keeping the business going and the teams focused while adapting to the incoming wall of regulation, most of which was focused on the fixed income markets. Around the second half of 2018 James says he felt that the firm had its systems bedded in, so that he could “look up and have the sun on your face.” The time had come to move on to more exciting work. Getting the dealing team more involved in all aspects of the desk and technology workflow has been one of James’ main tasks since joining Pictet, with the objective of bringing the firm’s investment, dealing and execution strategies closer together in a multi-faceted approach. James has certainly let his opinions be known about the use of certain technologies for fixed income trading, with transaction cost analysis (TCA) and execution management systems (EMS) both coming in for his criticism. Taking part in a panel session at the Fixed Income Leaders Summit in October last year, James said that the systems were unnecessary in fixed income because they just “added another layer to the process”. He also asserts that TCA, at least the version that is widely adopted and used within the equity markets, has no place in fixed income as the methodology is far too simplified and outcome-driven. 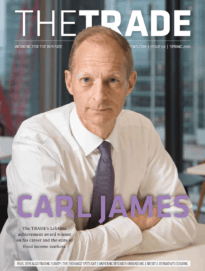 Although he still maintains that position, James does recognise the changing environment as a result of MiFID II means that TCA data holds greater relevance than it once did for fixed income trading. Given his experience within the industry, James is well placed to view and analyse the evolution of various asset class markets and how trading relationships have changed. 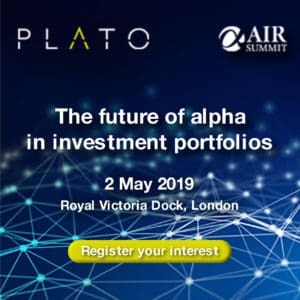 He says that from the 1980’s, dominated by relationship-based trading, there has been a huge shift to today’s environment, where fixed income is now seeing far greater levels of electronic trading coming to the fore of strategies. He has seen fixed income markets shift away from the relationship-based trading that dominated the 1980’s towards greater levels of electronification that has become a core part of many trading strategies. Like most buy-side firms, Pictet has had to adapt to the increasing pace of technology evolution and integrate this into the trading desk workflow. When reviewing the progress of systematic trading at Pictet so far, James says he is pleased with the results and the way in which the team has adapted to it, with one of the dealers doing the “heavy lifting” on the project. The concept of expanding trader bandwidth to allow greater focus on more complex deals is one that is often held up as the key benefit of increased automation, but James disputes the idea that the value add here is relatively low. “That’s what I used to say, but when we do back-testing we have found it is because we have put that technology in that we had added value,” he explains. “The portfolio managers now know that we are doing this, so they are giving us orders that fit. It changes the behaviour of the order generation or the person that comes up with that idea. Being able to change with new trading or market conditions has been a hallmark of James’ career in the financial industry, and he of course has an eye on what is coming next for fixed income and what changes he would like to see. Referencing the TRACE consolidated tape for US fixed income participants that provides a holistic view of market activity, he declares that the single greatest requirement for European markets is aggregation. “If you look at the equity markets, you centralise all the books and you can get any of the live data platforms, which you can aggregate to get a reasonably good view of it all,” James says. 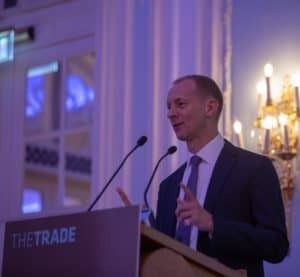 James giving his acceptance speech after receiving The TRADE’s buy-side lifetime achievement award at Leaders in Trading 2018. As you would expect from the recipient of The TRADE’s buy-side lifetime achievement award, James can boast of a varied career across both the buy- and sell-sides, with responsibilities that have taken him all over the world. Having first entered the financial industry at the age of 19, James acknowledges the first major watershed moment of his career was when he was with Phillips & Drew Fund Management, part of UBS, responsible for its derivatives, program trading and international trading. James took on the role of head of pan-Asian trading at UBS GAM and spent the next five years working across desks in Tokyo, Hong Kong and Singapore, expanding his remit to include strategic elements – hiring people, getting technology on the desk, getting processes written and sign off from regulators – that are now his daily workload at Pictet. The other career moment he highlights is when James was headhunted by Fortis Investment Management as its global head of dealing for the newly-merged entity, following the deal between ABN and Bank of Scotland. He was charged with creating a cohesive dealing set-up across 16 global desks and around 70 dealers, and would go on to introduce a global trading platform for the firm. James says that those two stand-out moments of his career have brought into focus what we truly enjoys about his work; embracing the change and new experiences. He says that he has enjoyed every organisation he has worked with, a typically neutral statement, but one that he stands by as true, and that any chance to usher in new ideas is one he is ready to take on.